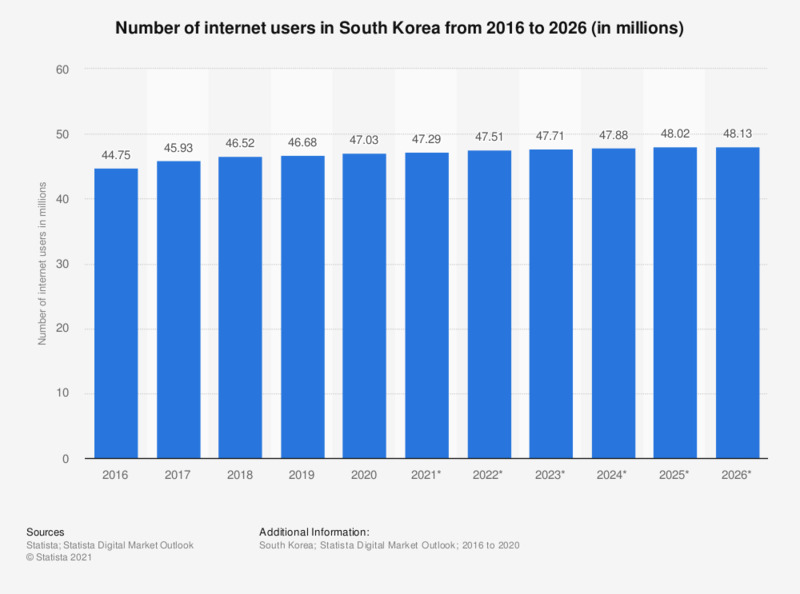 This statistic provides information on the number of internet users in South Korea from 2015 to 2022. In 2017, South Korea had 43.94 million internet users. This figure is projected to grow to 45.02 million internet users in 2021. When was the last time you used the internet?